Company computer does not want to upgrade to a higher version. 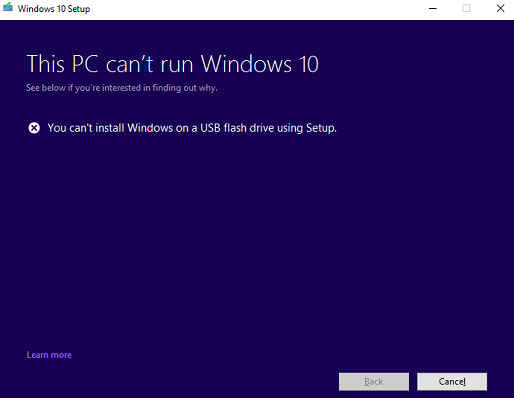 Upgrading Windows 10 to a higher version will not work for a number of SSD disks. This is the case with PCs with an X299 chipset and NVMe SSD. The message is normally fixed by setting the Windows partition to active. Open Computer Administration by successively clicking the Start button , Control Panel, System and Security button, System Administration button, and then double-clicking Computer Administration button. If you are prompted for the administrator password or a confirmation, type the password or a confirmation. Click on Disk Manager in the lower left corner of Storage. Right-click the primary partition you want to make active, then click Mark partition as active, and finally click Yes. A second possible solution could be to change a registry value. After handling, restart the system and try the upgrade again. A third situation, is a too small reserved system partition and then especially with SSD disks. You can, with the help of a partition manager, enlarge this partition above 500MB. These tools are often available free of charge and on the Internet. Only do this if you understand what you are doing. Message persists and upgrade fails. If you keep receiving this message, you can start looking for where it is wrong. Simple is to clone the SSD drive, or an image of it, to a normal hard drive and then upgrade it. After upgrading, the applied procedure can be reversed so that the upgrade is placed on the SSD disk. With a normal MBR hard disk you will see the C and then the part of 450-500 mb* with the system files and then possibly a D partition. (* XP was 7 mb, 102 mb for Windows 7, 350 mb for Vista/Win8.1 and 500 mb for W10). You have to format the SSD disk with 1 partition and then throw that image over it. Then you create a partition of 500 mb without a drive letter. 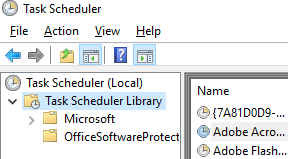 Then it is possible that when you start up you will be notified that you are missing a couple of DLL files. If you have a company laptop or computer, then that upgrade may be blocked. Below are the settings you may need to reset first. 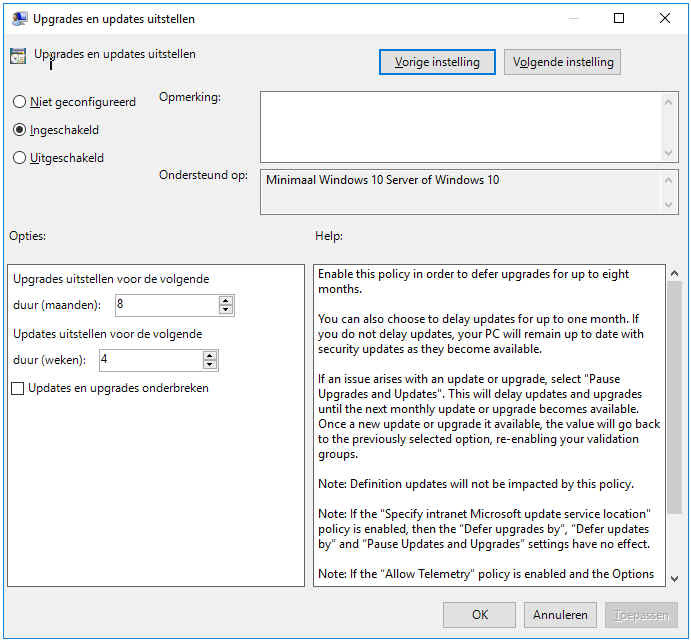 If you’re looking to postpone the Windows 10 Ugrade for a longer period, it’s possible to delay updates for up to 180 days. Choose for how long you want to defer upgrades. You can defer receiving feature updates up to 180 days. 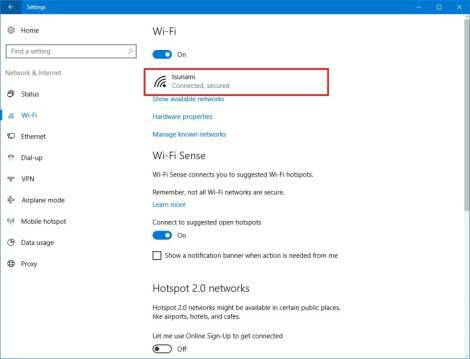 The caveat with this feature is that it only works with when connected using a Wi-Fi network. 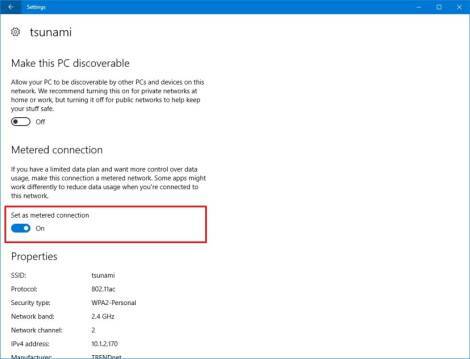 However, metered connection for Ethernet adapters is available starting with the Windows 10 Creators Update. 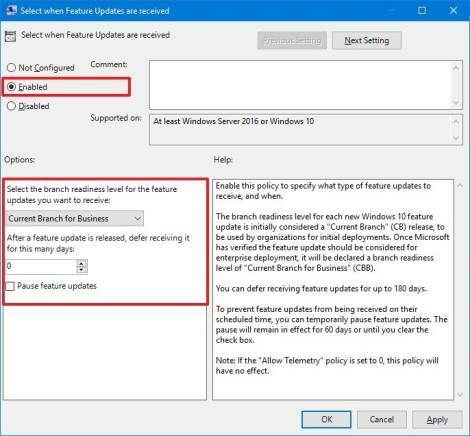 While this guide goes through the steps to prevent installing the Windows 10 Creators Update from installing automatically, it’s not meant to discourage your installing updates. On Windows 10, and on any operating system, updates are important to keep your device up to date and secure. The Creators Update not only improves the OS, but it brings a slew of new features, such as Cortana on full-screen, Night Light to adjust the blue light that the screen emits at night, 3D and mixed reality capability, themes, improvements on the Start menu and much more. This guide is only meant to postpone the update to a later date, until you know for sure that bugs and issues that may appear during the early days have been fixed to reduce issues on your PC, laptop, or tablet. 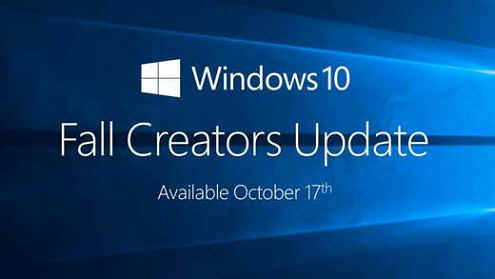 Are you installing the Windows 10 Creators Update as soon as it comes out or you’re planning to wait? Tell us in the comments below. It must be activated again. Below is the method of blocking it. That, in turn, must be undone. 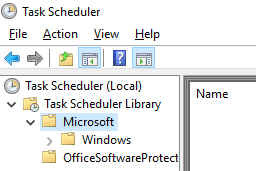 Type in the lower left-hand corner of the task scheduler and then click on it at the top. Blockin updates Right-click on each update assistant and turn off. To restore the assistant, switch it on again. Press the Start button, type grouppolicy , and open the respective result. 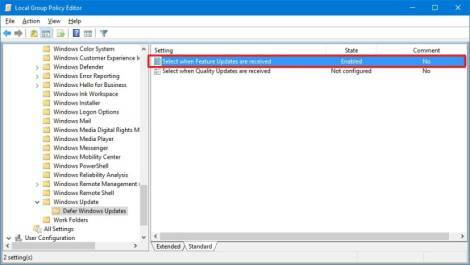 Now head to Computer Configuration > Administrative Templates > Windows Components > Windows Update and open Configure Automatic Updates. 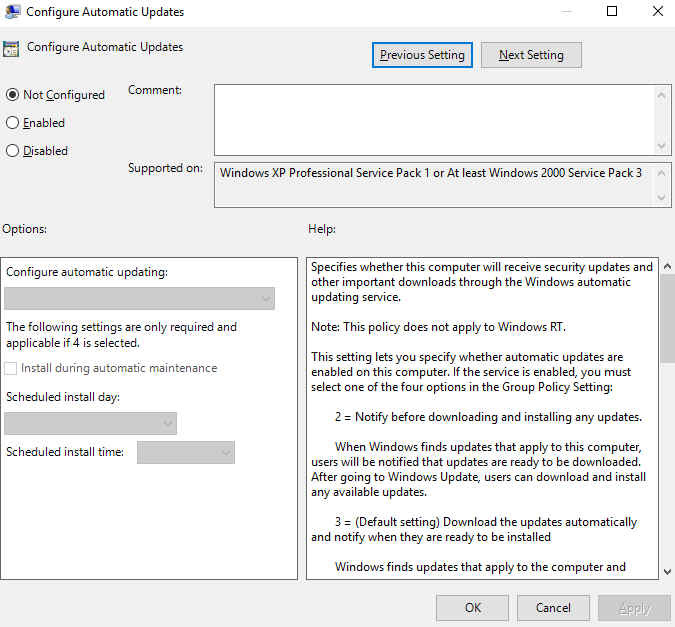 Enable the setting and under Configure automatic updating, choose 2 – Notify for download and notify for install.